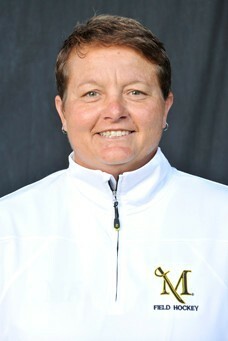 Three-time PSAC Coach of the Year and two-time Division II Coach of the Year Shelly Behrens has built the Millersville field hockey program into a contender at both the PSAC and national level. Now the winningest coach in Millersville history, Behrens guided the team to the first NCAA Division II Championship in Millersville women's sports history in 2014. The 2012, 2013 and 2014 PSAC Coach of the Year, 2012 Synapse Sports Division II Coach of the Year, and 2014 NFHCA Division II Coach of the Year, Behrens has developed 37 All-PSAC selections, including a Millersville record nine in 2015 after a then-record six in 2014. Before Behrens' arrival, the program had been without an All-American for 10 years. Behrens has developed 15 in the last five years and has placed seven freshmen on the Synapse Sports Division II All-Rookie Squad. Known for her defensive coaching, Millersville led the nation in shutouts and goals against average in 2013, 2014 and 2015. Behrens has also been heavily involved in USA Field Hockey at both the national and developmental levels. She served as the goalkeeping coach on the U.S. team that won a silver medal at the 1999 Pan American Games and the national squad that competed in the 2000 Olympic Qualifier Tournament in Milton Keynes, England. Our Professional staff is made up of Championship winning coaches, along with talented NCAA Division I, II, and III Coaches and Coach Counselors. Eastern Field Hockey Camp Coaches strive to teach the fundamentals of the USA Field Hockey Curriculum with the most current concepts and creative techniques. The camp training strategy is to develop individual skills and decision-making within a team experience.